1. What type of business insurance cover are you interested in? If you are a contractor providing services to another business or on someone else’s site then it is wise to make sure you have an appropriate level of cover that provides you with the protection you need for you, your business, employees and equipment. There are a wide variety of contractor roles that fit this description and a broad range of insurance products and cover available in the market, so we have taken a look at what is available below. The table below gives a quick price comparison of the top UK providers for contractor insurance. * The facts and figures included here come from each company’s website and were accurate at the time of writing (April 2019) but may have since changed. Also, please keep in mind these may not be apples to apples comparisons as each provider offers different solutions. This guide should be used as a starting off point for more research on your part. Below we profile each of the companies’ services and features in a bit more detail. Note companies are ranked in no particular order and this no way indicates one solution is better than another. Some of the features and benefits of RSA’s contractor insurance. 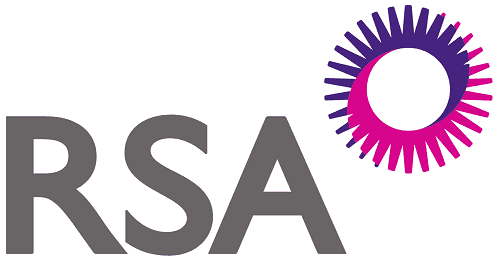 RSA is an insurance provider that offers a variety of business insurance products through brokers and intermediaries. They offer Contractors’ Annual Insurance that is a flexible product that allows you to tailor your cover to your needs by allowing you to combine their specialist covers with their wider insurance products. RSA’s contractor insurance can include employer’s liability, public liability, product liability as well as contractors all risks cover. Contractors all risks protect contractors against physical loss, damage and destruction during the construction period, this includes maintenance works, defects liability period up to 12 months, tools and equipment, hired-in property and temporary buildings. Some of the features and benefits of AXA’s contractor insurance. AXA is an insurance provider that offers a wide range of business insurance products which include contractors’ insurance. Their contractor’s combined insurance offers a policy that is flexible and can be tailored to meet your business’s needs as you can select what elements of the products you want to include. AXA’s contractors’ insurance can include a wider variety of covers such as property and casualty cover, business interruption, public liability, employer’s liability, financial loss liability, goods in transit and property damage. It can also include contractors’ all risks which can be either an annual contract or for a single contract and selected all risks for specific items. Some of the features and benefits of Direct Line for Business’ contractor insurance. Direct Line for Business offers two contractor insurance products, one catering for builders and the other for contractors and freelancers. The builder’s insurance provides cover that includes public liability, employer’s liability up to £10 million, tools and equipment cover, and cover for up to 15 people. They offer a range of optional cover such as personal accident and plant cover. Direct Line for Business’ contractor and freelancer’s insurance is designed for professionals that offer an independent service. This cover allows you to build your own package which can include professional liability, public and employer’s liability, contents and stock, business interruption and legal expenses. Some of the features and benefits of Zurich’s contractor insurance. Zurich is an insurance provider who offers a range of business insurance including contractors’ insurance. They call it Trades and Professions Insurance which covers a wide range of businesses and types of contractors. They offer cover to businesses including building trades, electricians, gardeners, consultants, caters, hairdressers and beauticians. Zurich’s Trades and Professions Insurance offers businesses public and products liability insurance as standard on all policies and they offer a range of optional cover to build an insurance package to meet your needs. Optional cover includes personal accident, contractors’ all risks, plant, tools and hired equipment, business contents cover, business stock and to extend public liability cover to £10 million. Some of the features and benefits of Allianz’s contractor insurance. Allianz’s complete contractor insurance includes commercial legal expenses and public liability insurance up to £2 million which can be extended to £5 million. They offer optional cover including employer’s liability up to £10 million, tools cover, contract works, personal accident, material damage, property damage, business interruption and terrorism cover. Some of the features and benefits of Ageas’s contractor insurance. Ageas is an insurance provider that offers its insurance products through a network of brokers. They offer business insurance that includes tradesman insurance that covers building contractors. They provide cover for a variety of businesses including the self-employed, partnerships and limited companies. Ageas’ tradesman insurance is a flexible policy as you can tailor the policy to meet your needs. You can choose cover from public liability, product liability, employer’s liability, business interruption, personal accident and legal expenses. You can also cover tools which include all risks and stock in transit. They also offer contractors’ all risks cover which includes contract works and plant. Some of the features and benefits of QBE’s contractor insurance. QBE is an international insurance provider that offers a range of specialist insurance products which include contractors’ all risks. This policy is a flexible product that can be tailored to meet your requirements. They have a wealth of experience and specialist knowledge in construction and risk management. QBE’s contractors’ all risks can be purchased as a standalone product that can cover a wide range of construction projects and can cover periods up to 10 years. They offer a range of optional extra cover which includes general liability (public, product, employer’s and other liabilities), professional indemnity, environmental impairment liability and surety bonds. Some of the features and benefits of NFU Mutual’s contractor insurance. NFU Mutual is an insurance provider that is run by its members and offers a wide variety of business insurance direct to their customers. They offer tradesman insurance which includes contracting professions. The policy is flexible and can be tailored through a range of optional cover. NFU Mutual’s tradesman insurance offers a basic cover as standard which includes public, product and environmental liability cover with a range of optional extras. Additional cover includes employer’s liability, buildings, stock and contents, good in transit, group personal accident, contractors’ all risks, commercial legal expenses, business interruption, malicious attack, terrorism, engineering insurance and inspections. Some of the features and benefits of Lloyds Bank’s contractor insurance. Lloyds Bank provides a range of business insurance products in partnership with Arthur J. Gallagher Insurance Brokers that you can purchase directly from them. They offer a range of tradesman and contractor insurance which can be tailored and combined to meet your business needs. 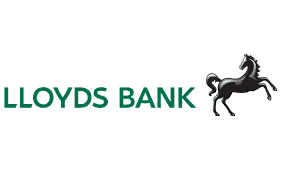 Lloyds Bank’s tradesman and contractor insurance can include public liability insurance to cover compensation claims and legal fees; commercial vehicle cover that help towards the costs of repairs and temporary van replacement; tool cover which includes damage and theft; and personal accident cover which will pay out a lump sum if an employee is seriously injured or dies at work. Some of the features and benefits of Liberty Mutual’s contractor insurance. 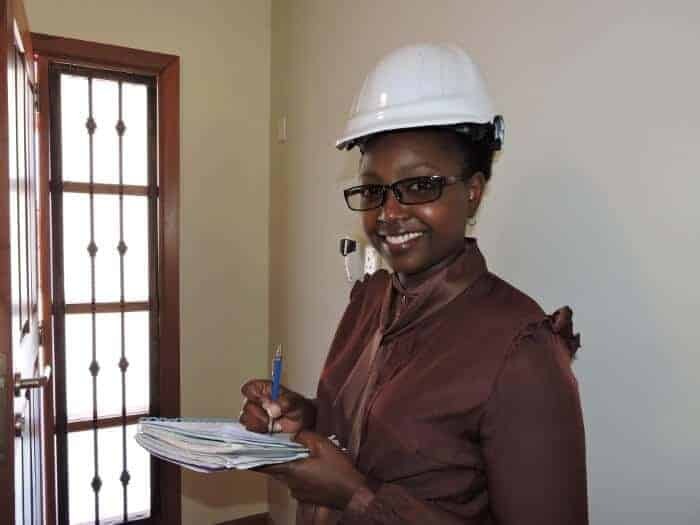 Liberty Mutual is an insurance provider that offers specialist insurance where they have particular knowledge and experience which includes the construction sector. Their construction insurance products are available to local general contractors to national businesses that operate in general building, heavy construction and speciality trades. Liberty Mutual’s construction insurance can be tailored to meet your needs as they offer a variety of insurance products that can be combined. Their cover can include liability insurance such as owners and contractors’ protective liability, professional indemnity and environmental legal liability. They can provide cover for construction all risks, project-specific cover, design and build project cover. Some of the features and benefits of Chubb’s contractor insurance. Chubb is an international insurance provider that offers specialist insurance products that include construction insurance products that cover large businesses or site through to individual contractors. They offer four products – construction all risks with one for builders and another for civil engineers, erection all risks and public-private partnership insurance. Chubb’s construction all risks insurance offers cover for contractors and property developers that can be taken out for a single risk or as an annual policy. The policy includes public liability, plant and equipment, delay in start-up and non-negligent liabilities. You can also add on optional extras such as employer’s liability, excess casualty and environmental liability. Some of the features and benefits of Covea’s contractor insurance. 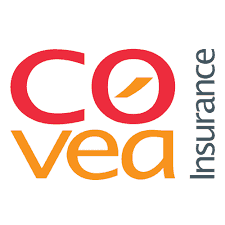 Covea is an insurance provider that specialises small business and the self-employed insurance offering a range of tailored products. They offer two insurance products designed for contractors – Tradesman and Professional insurance and Master Tradesman Plus which are for businesses with up to 10 employees. Covea’s two contractor insurance products offer public and product liability as standard in their products as well as a range of optional extras to choose from. Optional extras include employer’s liability, tool cover, contract works, own and hired plant equipment. Master Tradesman Plus is designed to offer cover for a broader range of businesses and can include people with less than two years’ experience. Some of the features and benefits of HDI’s contractor insurance. HDI is an international insurance provider that offers a wide range of specialist insurance products which includes engineering and construction insurance. They have designed this insurance product to cater for larger UK and international contractors who potentially face greater risk. HDI’s engineering and construction product is a flexible product that can be tailored to meet your business or projects needs. They have a high level of industry knowledge and experience and they employ specialist risk managers to assist with risk control. Their cover can include construction all risks, erection all risks, business interruption and contractors’ plant all risks, public liability and machinery insurance. Some of the features and benefits of Hiscox’s contractor insurance. 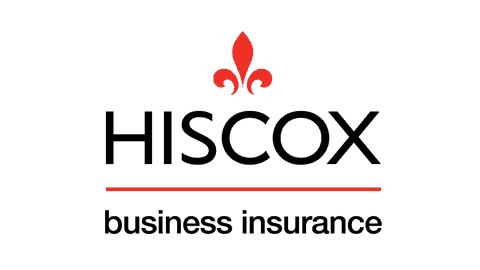 Hiscox is an insurance provider that offers a range of business insurance designed to protect businesses from liabilities and potential threats. They offer Indemnity and Liability Insurance for Business Contractors which they say is comprehensive insurance for contractors. Their products are designed with smaller businesses in mind. Hiscox’s Indemnity and Liability Insurance for Business Contractors provides professional indemnity and public liability insurance only. This covers businesses for claims against their work and from members of the public who have been injured as a result of the work. It will cover the legal expenses to defend you, any compensation claims and help to manage your reputation. Some of the features and benefits of Markel direct’s contractor insurance. Markel direct is an insurance provider that offers a wide range of business insurance products designed for smaller businesses and not-for-profits. They offer Freelancer and Contractor insurance where cover can start from as little as £5 per month and is transparent with no hidden fees or cancellation costs. Markel direct’s Freelancer and Contractor insurance can be tailored to include the cover you require. This can include public and product liability up to £5 million, professional indemnity up to £5 million, employer’s liability up to £10 million, directors and officers’ insurance up to £5 million, personal accident, office insurance, legal representation and employment disputes, cyber and data risk insurance. Some of the features and benefits of Traveler’s contractor insurance. Travelers is an insurance provider that offers business insurance international and has a particular appetite for the construction industry, so they have a range of cover in this area. They offer Construction and Engineering Insurance which includes construction all risks and erection all risks. They provide this as a single project cover or an annual policy to contractors, developers and owners. Travelers’ construction all risks and erection all risks offer basic cover plus the option to add third-party liability, advance loss of profits, contractor plant and equipment, interim operational cover and associated business interruption. They can also offer delay startup, cover for power projects and terrorism cover. Some of the features and benefits of Tokio Marine’s contractor insurance. Tokio Marine is an international insurance provider that offers a wide range of business insurance products and specialises in creating dedicated industry focused products including construction insurance. Their insurance is generally suited to larger projects or businesses as they offer cover up to £65 million for probable maximum loss. Tokio Marine’s construction insurance is designed for contractor’s all risks, but they can also offer erection all risks too. They can also offer additional cover including contractors’ plant and equipment, machinery breakdown, third-party liability, non-negligent liability, advanced loss of profits, and seamless operational cover which includes business interruption. Some of the features and benefits of CNA Hardy’s contractor insurance. CNA Hardy is an international insurance provider that offers a range of specialist insurance products including contractors’ insurance. Their Package+ Contractors insurance is designed specifically for the UK construction industry that has a minimum turnover of £5 million per year. CNA Hardy’s Package+ Contractors’ insurance is a tailored insurance package that can include the level of cover you need for your project or annual policy. The policy can include contractors’ all risks, directors and officers’ insurance, legal expenses, design and construction professional indemnity, contractors’ joint contracts tribunal, cyber insurance, employee fidelity, cancellation of an event, media management crisis costs, computer breakdown, abduction and extortion. Some of the features and benefits of NIG’s contractor insurance. NIG is a specialist insurance provider offering commercial insurance to businesses from small independent businesses upwards. They offer a range specialist insurance which includes Contractors Combined insurance which offers a basic level of cover and a range of optional extras to give more comprehensive cover. Their cover has a minimum premium of £750 up to £25,000 per year and they target risks up to £10 million turnover. 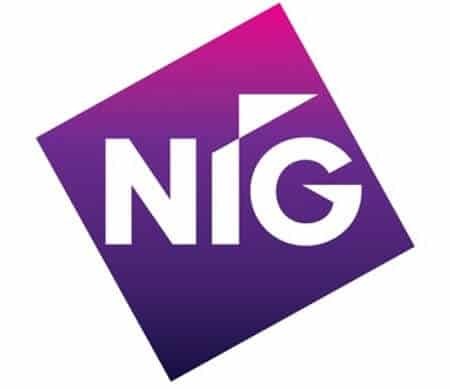 NIG’s Contractors Combined insurance includes public and product liability up to £5 million, employer’s liability up to £10 million, contract site up to £5 million, employees tools of up to £1,000 per employee, hired in plant up to £250,000 per item. Some of the features and benefits of Churchill’s contractor insurance. Churchill is an insurance provider that offers a small range of business insurance products that are designed for smaller businesses or the self-employed. They offer Tradesman insurance that is a flexible product as it offers basic cover and a range of optional extras to provide a greater level of cover. Churchill’s Tradesman insurance can include public liability up to £10 million, employer’s liability up to £10 million, equipment cover up to £10,000 per person for tools and business equipment, personal accident with the option to add death benefit, business stock up to £5,000, contract works up to £50,000, own plant or hired plant cover up to £50,000. Disclaimer: We are an general business information-only website and not authorised or regulated by the FCA. Therefore, we cannot recommend any product, service or company. Nor can we offer any financial advice and/or recommendations. All lists and comparisons are for information purposes only. We are not a lender, advisor, insurer or broker. All information on this website was believed to be accurate at the time publication. However, prices and availability may have changed between publication and now. We accept no responsibility for any errors or omissions. This website is free to use. However, we may times work with companies that may pay us fee. You are under no obligation to use these companies, but the fees they pay help us keep the site up and running.